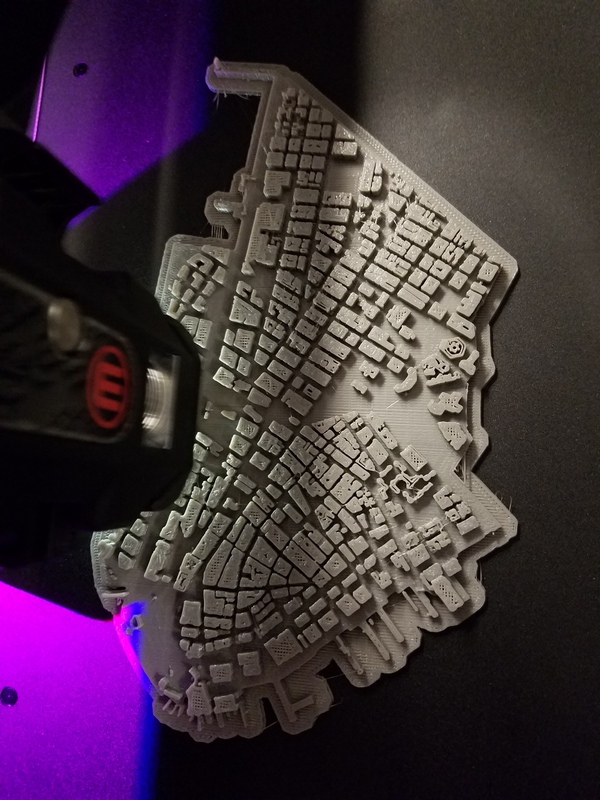 Experiments with 3D geo-printing continue. 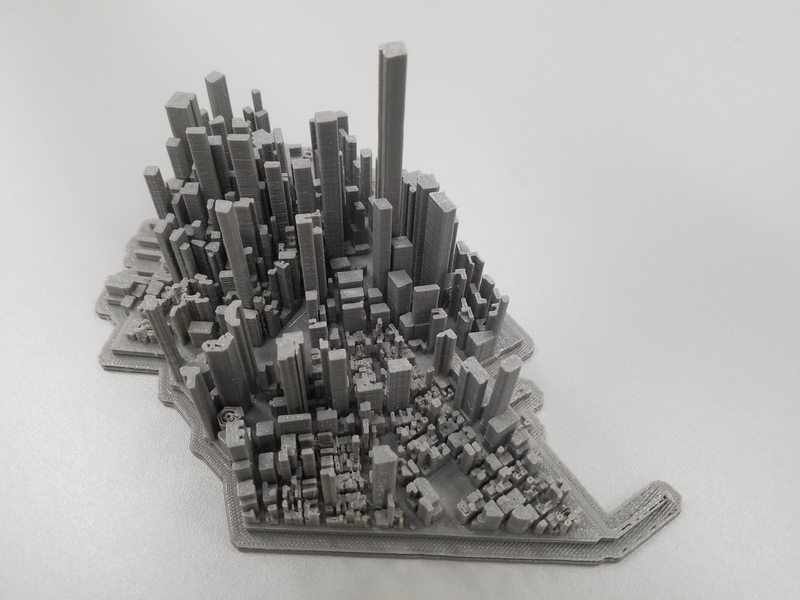 Following the first successful print of a large plateau region in Southeast Asia, we’re looking today at a more complex set of geographic features: Lower Manhattan’s building footprints. I’ll spare you the bulk of the technical details (don’t hesitate to contact me if you’re interested), and will cover only the basics here. The data are vast. 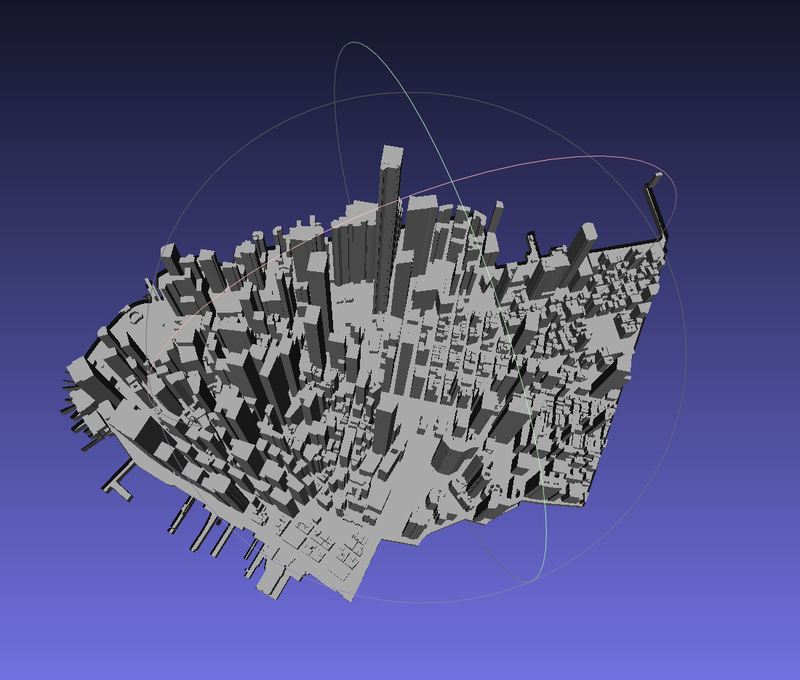 Here’s a glimpse of all the building footprints available just for Manhattan. 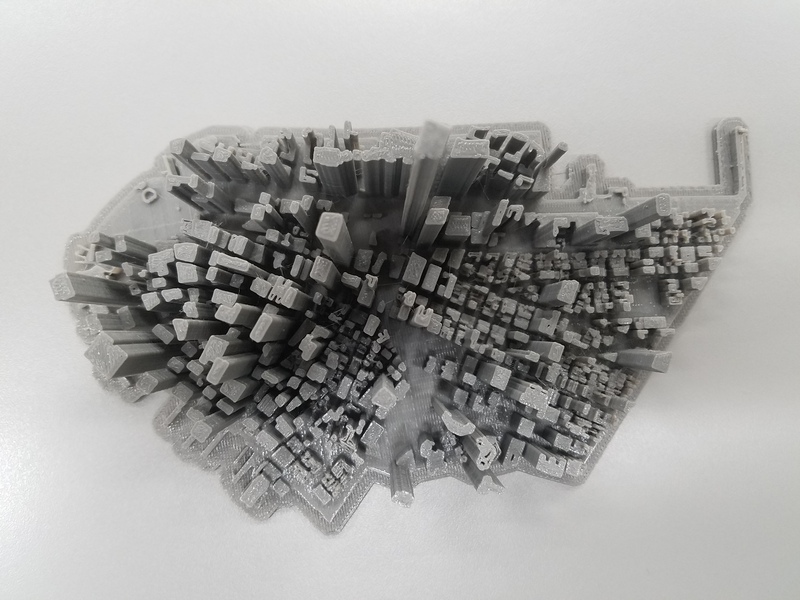 After an unsuccessful attempt at printing the elevation surface and buildings covering New York City’s three southernmost community districts, it became clear that I needed to focus on a smaller geographic area, thereby increasing the scale of the model. 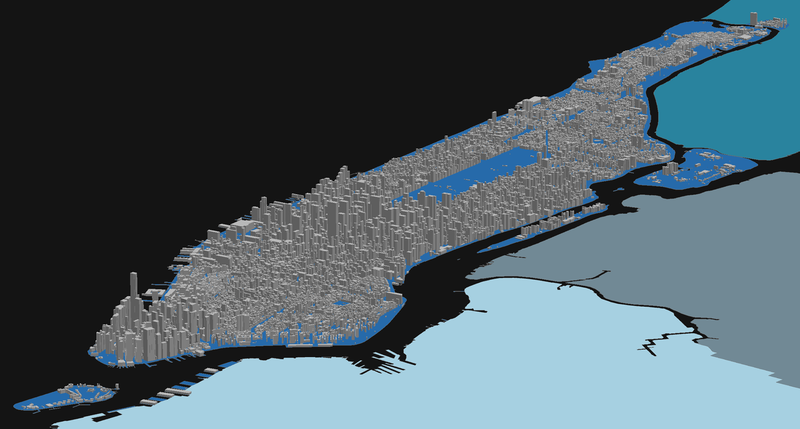 I ultimately went with extracting the topography and buildings for the area covered exclusively by New York City’s community district #101. That’s the southernmost tip of Manhattan, the city’s financial district (a major — if not the most major — command and control center for the global economy). Data were downloaded on October 12, 2016 and were the most current data available for those geographic features on that date. 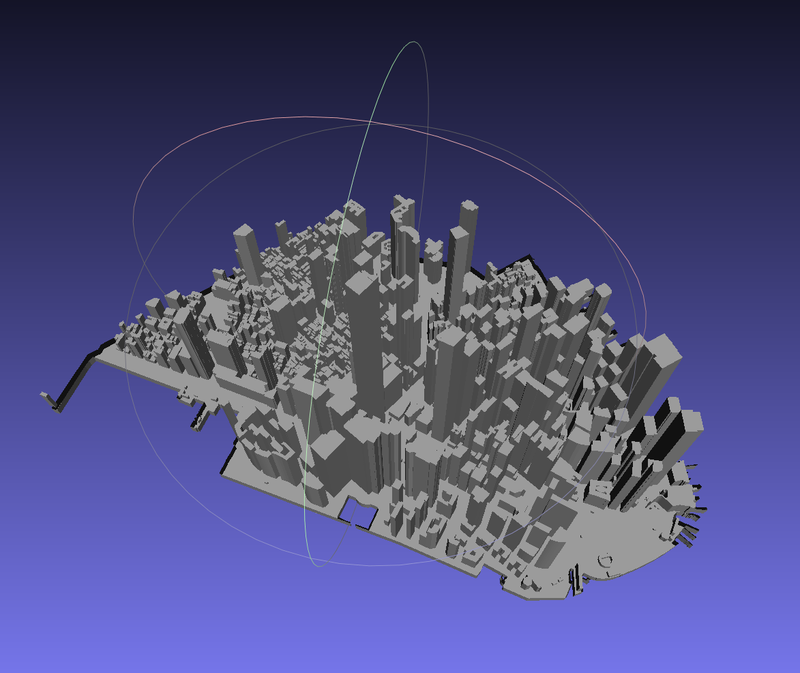 An open source geographic information systems (GIS) software platform, QGIS, along with its open source plugin, Qgis2threejs, were used to process, manipulate, and ultimately produce the model. 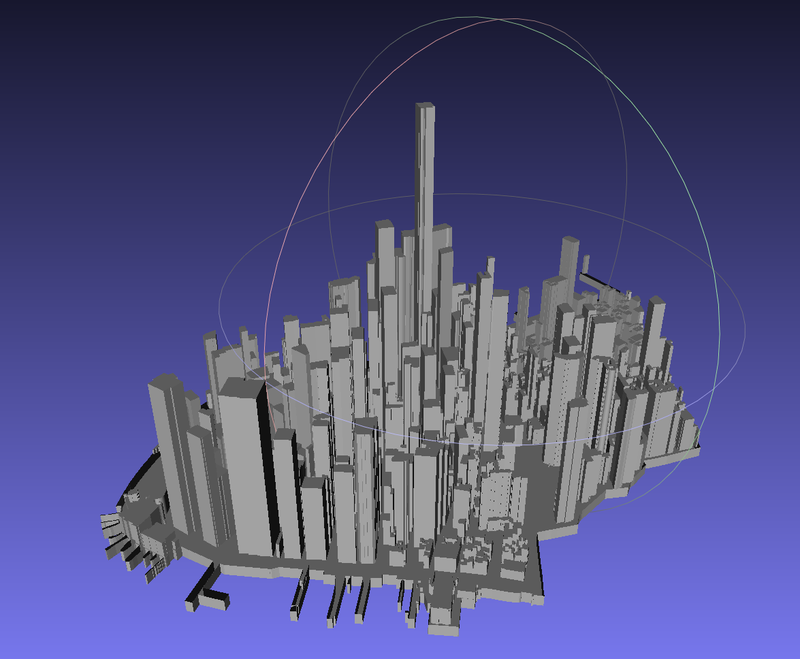 A vertical exaggeration by a magnitude of three (×3) was employed to emphasize the buildings and create the most dramatic cityscape representation possible, hopefully without pushing it beyond the realm of the impressive and into the realm of the ridiculous. 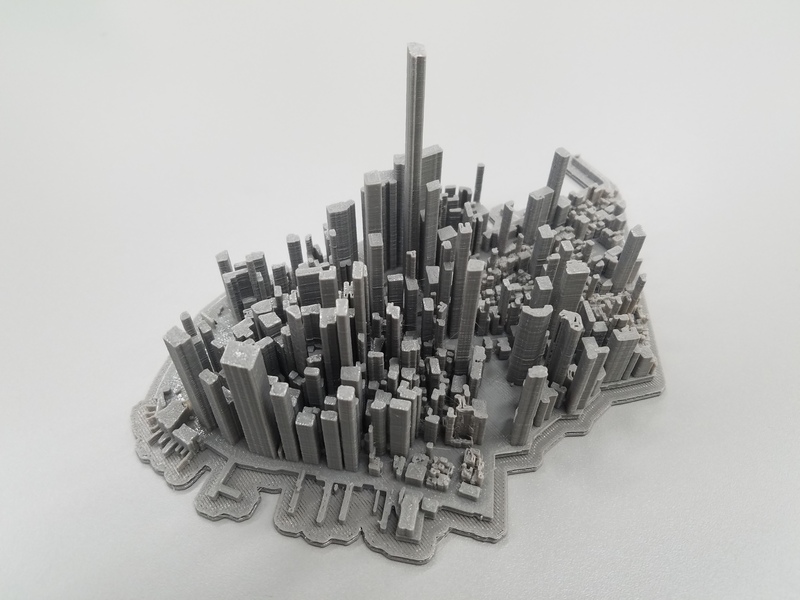 Visit Thingaverse, where I’ve uploaded the ready-for-print STL file: Lower Manhattan Cityscape.